We’d love your help. Let us know what’s wrong with this preview of Dark Light Four by Sarah Jayne Carr. If you’re looking for stories of “happily ever after”, continue onward. Warm and fuzzy tales of love won’t lie within these pages. These dark accounts incur greed, anger, hostility, murder, revenge, and creatures that go bump in the night. Be forewarned—there will be blood, and you may need to check under your bed before going to sleep. Darkness awaits. The Maybe If you’re looking for stories of “happily ever after”, continue onward. Warm and fuzzy tales of love won’t lie within these pages. These dark accounts incur greed, anger, hostility, murder, revenge, and creatures that go bump in the night. Be forewarned—there will be blood, and you may need to check under your bed before going to sleep. Darkness awaits. An Eve to Forget—Leah D.W.
To ask other readers questions about Dark Light Four, please sign up. This was my favorite I am not sure what happened with book two and book three of dark light but book one and book four were by far the best for me. I didn't have just one story I liked in this book, I really enjoyed all of them. 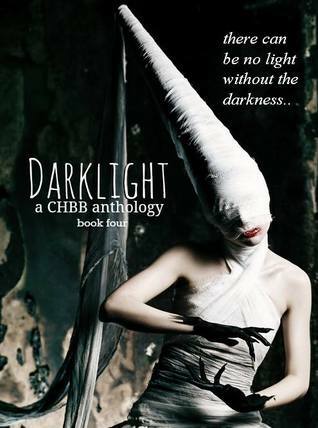 As I have mentioned before in the first book of Dark Light each story is very unique and I am sure that there is at least one story that you will enjoy even if you do not enjoy all of them. I felt that in this anthology I got to see new authors work as I have never heard of any of these authors before so it was awesome to be able to see within their mind the story that they can create for us all. She wrote stories as a child, but became more serious about her passion during her twenties. In her spare time, she likes to re Sarah Jayne Carr is a novelist who can be found most evenings with a cup of tea in-hand and her imagination racing from plot to plot. When away from her work, part of her mind is constantly brainstorming her next story and she always has writing paraphernalia within reach. The ones with an asterisk are the short stories I wrote. They're backstories on the supporting characters and how their lives intertwine with Amelia's and/or JackRabbit7.